Yippee!! It is 55 degrees outside, and I have been waiting three months to post this recipe. The recipe is very Fall flavored and making it in the summer is something weird that only I would do. 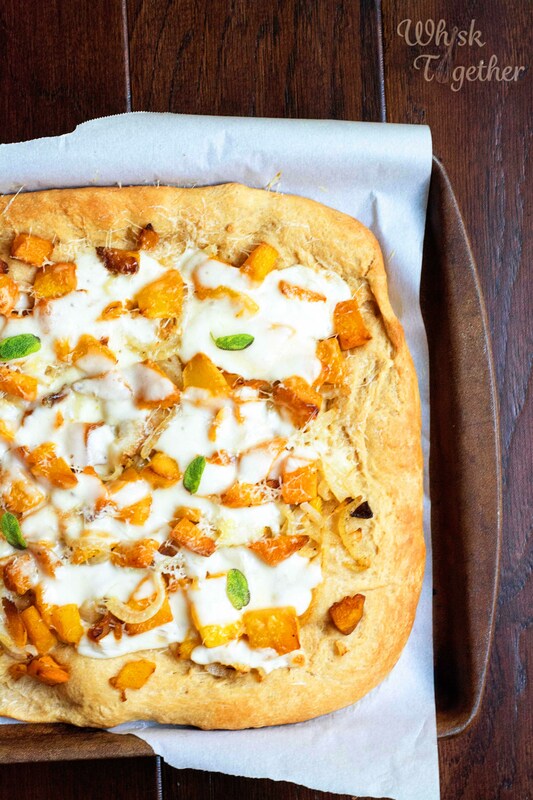 SO – here is the Fall pizza of the year. I based it on my favorite lasagna of all time: Butternut Squash Lasagna. 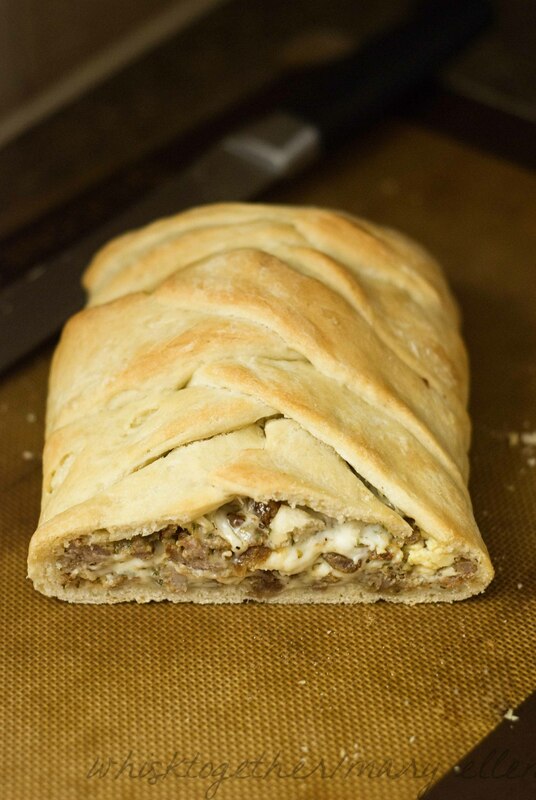 This is fun to bring to a pot luck or have on hand for something different. I grow tired of pepperoni on everything personally. 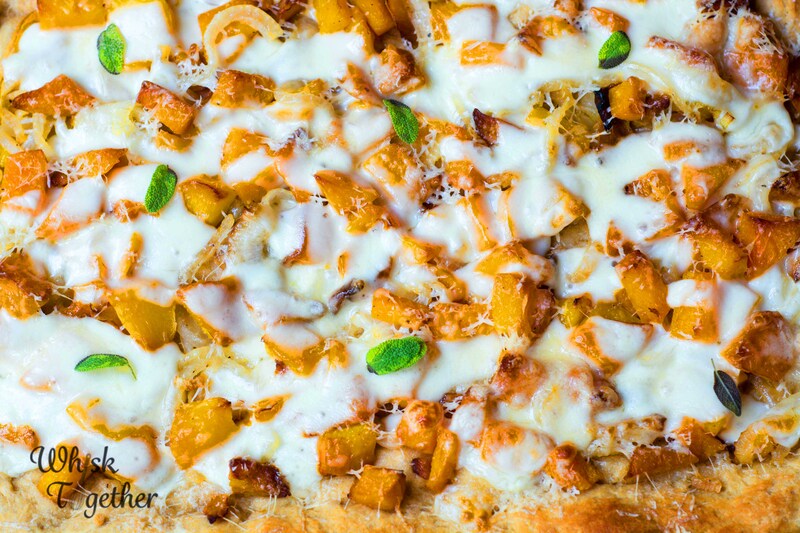 The flavors of the squash, caramelized onions and sage are simply delicious. 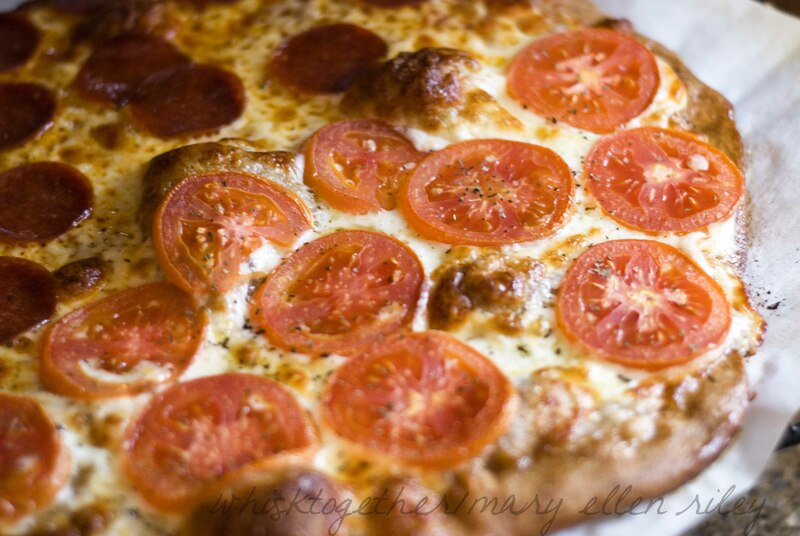 I have heard from several of you that the Dewey’s Pizza Dough is your new go-to pizza dough recipe. Now, I know both doughs require a long rise time, but that is how the pros get that delicious yeast-y flavor. If you are shorter on time, simply increase the amount of yeast. Or have some extra time? Make several batches and freeze them! But remember – when doubling and tripling yeast dough recipes, the yeast does not need to be doubled as well. 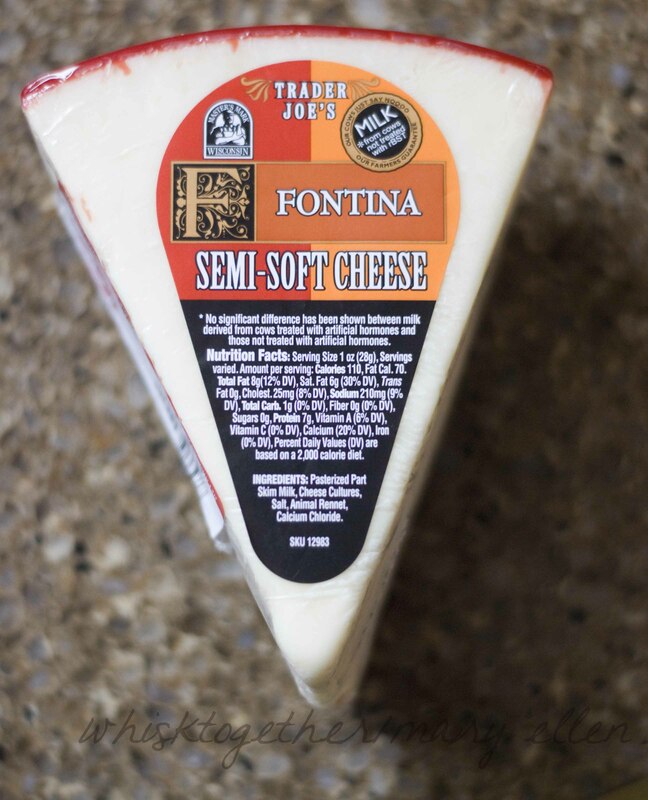 Pair this with a Harvest Salad and enjoy the brisk temperatures! 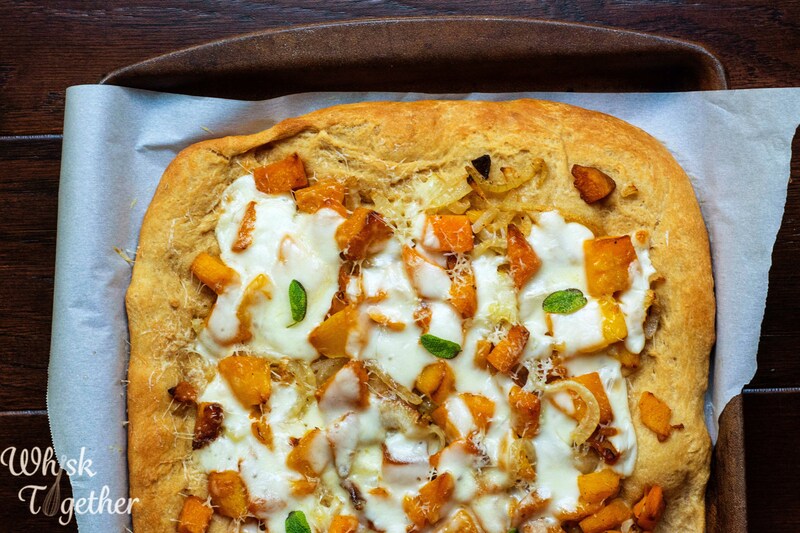 Make-ahead: The butternut squash and onion topping can be roasted 1-2 days ahead of time. Once that step is done, the pizza just needs put together like a standard pizza. Preheat oven to 425 degrees. Toss the squash with olive oil and a pinch of kosher salt. Do the same with the onion, but keep it separate. Put both on a greased cookie sheet or roasting pan. Roast the onion for about 10-12 minutes and the squash for about 18-20 minutes. You can put these in separate pans or the same. I noticed my onion going brown to almost black after 12 minutes and removed it. The squash is done when you can pierce it easily with a fork. In a small pot or skillet, heat the butter over medium heat and add the sage leaves once melted. Cook for about 1 minute. Set aside. Roll out your pizza dough onto a piece of parchment or pizza stone or large bar pan, or pizza stone dusted with a little cornmeal. 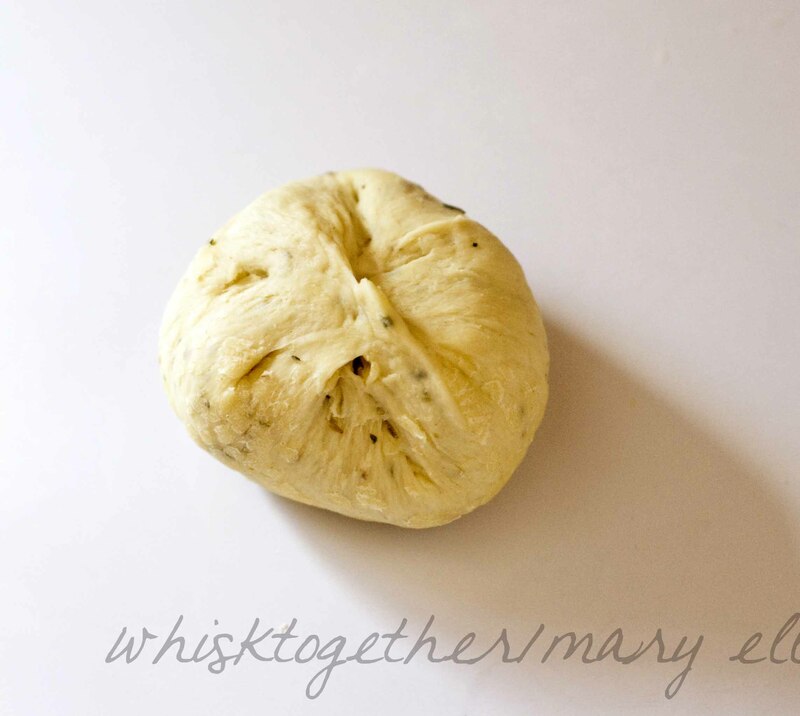 Brush the sage butter onto the pizza dough. Add the squash and onion mixture. 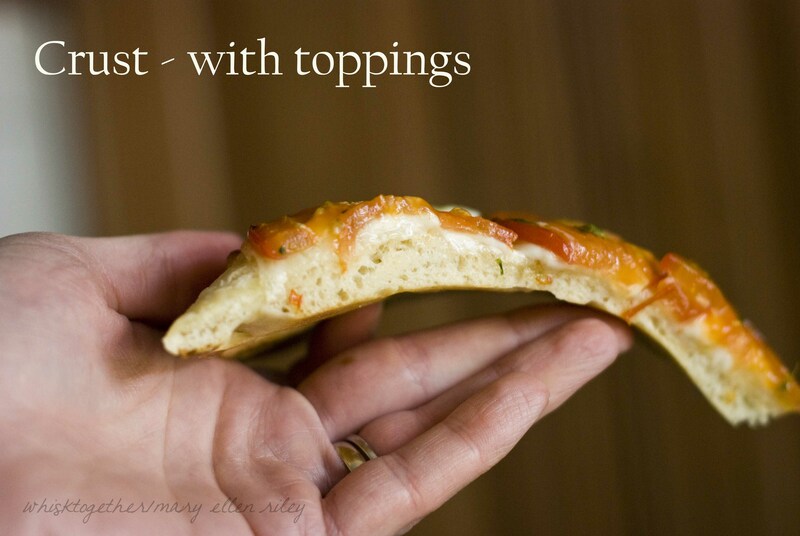 Sprinkle the cheeses on top. Bake per the directions of the pizza dough. Mine is about 15 minutes on a hot stone at 425 degrees. Sprinkle whole sage leaves on top. Serve hot. I know some people are die hard Aldi lovers. But, I went to Aldi the other day and then stopped by Greyson’s Produce Stand on the way home. It was almost half the price! You MUST go there before Aldi. The produce was fresh, didn’t smell weird, nothing I had to throw away (like I sometimes have to with Aldi) and the people were very friendly. No, they didn’t pay me to write this 🙂 I had to tell everyone nearby OFallon MO to check it out! It is just south of 70 off Hwy K. And they have stuff reasonably priced that is hard to find like fresh coconut. You can also buy watermelons there and there is a $1 bin full of bagged produce. Recipe: I have been working on another whole wheat pizza dough recipe because the ones in the past all contained some all-purpose flour. 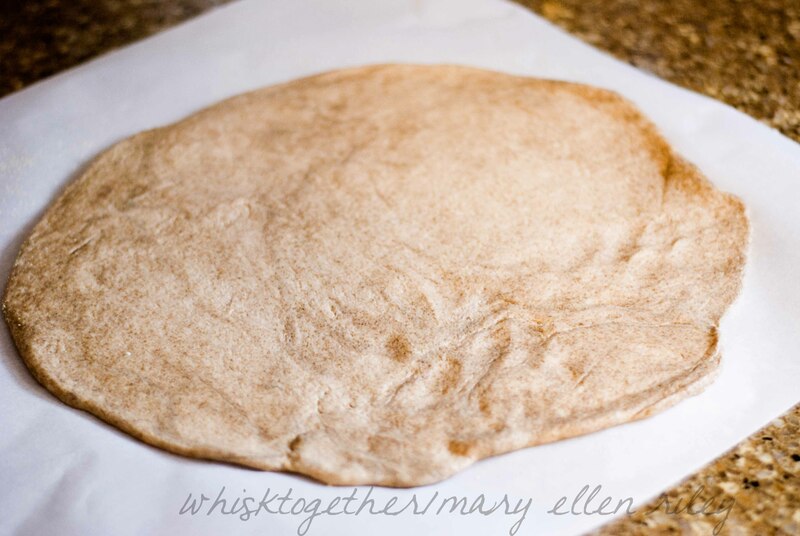 Additionally, many of my previous whole wheat pizza doughs are tough to work with and don’t flatten out properly. This one worked great! I have two methods to putting it together just in case you don’t plan ahead and make it the night before. 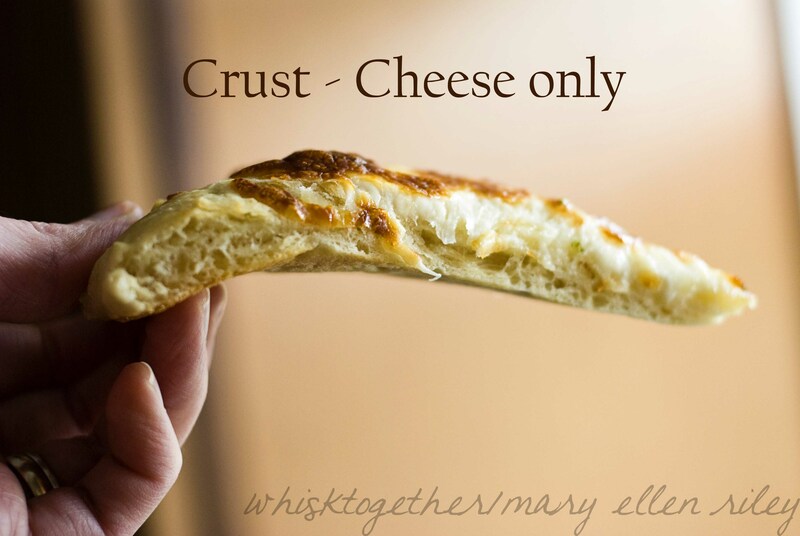 The other method lets you make the pizza dough the same day! This made one large medium crust pizza – not too thin and not too thick. It had a good chew and was so easy to put together that my 4 year old did it. 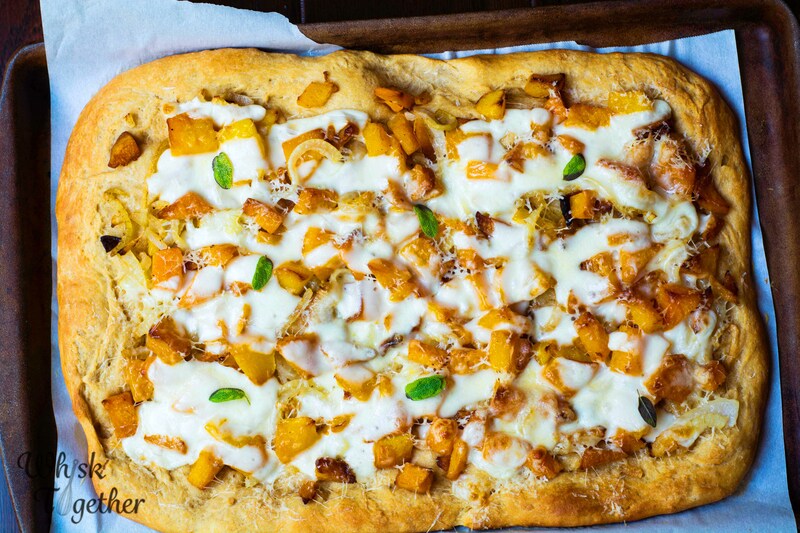 For those of you who do homemade pizza night once a week – this one might be fun to try! Plus it is 100% whole wheat flour. Not that “3 cups of all purpose flour and 1/2 cup whole wheat flour” that you see quite often. Why orange juice in the recipe? Because the orange juice offsets the bitter taste (tannins I believe) of the whole wheat. In a large measuring cup, mix the warm water, yeast, orange juice and honey. Allow to sit for 5 minutes just to be sure if your yeast is alive and well (or if you know it’s alive, skip this step and mix everything together). In a great big bowl, mix the white whole wheat flour, salt and olive oil. Cover and let rise for 30 minutes. Knead dough for 5 minutes in the mixer, bread machine or your hands. Allow to rest and rise covered for 30 minutes. At this point, put it in the fridge and let it rise overnight (if using 2 tsp yeast) or later in the day (using 3 tsp yeast). Remove 1-2 hours before using (or at least 20 minutes). Preheat oven to 450 degrees preferably with the pizza stone inside. 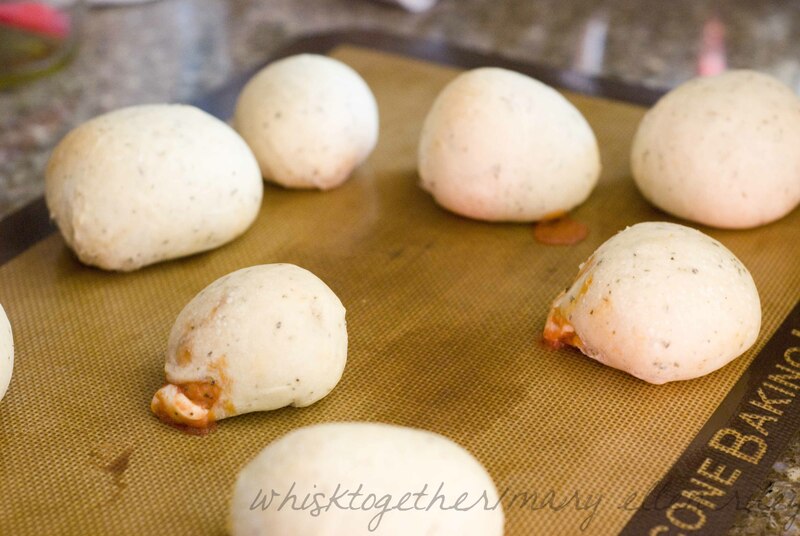 Shape the dough onto parchment paper. Add toppings. Bake 15 minutes. Book Update: I checked out the “Cooking Light: Way to Bake” from the library. The photos are very pretty. I hope the recipes are just as delicious! I will try a few and have to report back. The pumpkin honey beer bread looks sooooo good. Recipe Update: This is another one I pulled from my vault of recipes I have made over and over and forgot to post. It is one of those recipes you can change and add what you like. 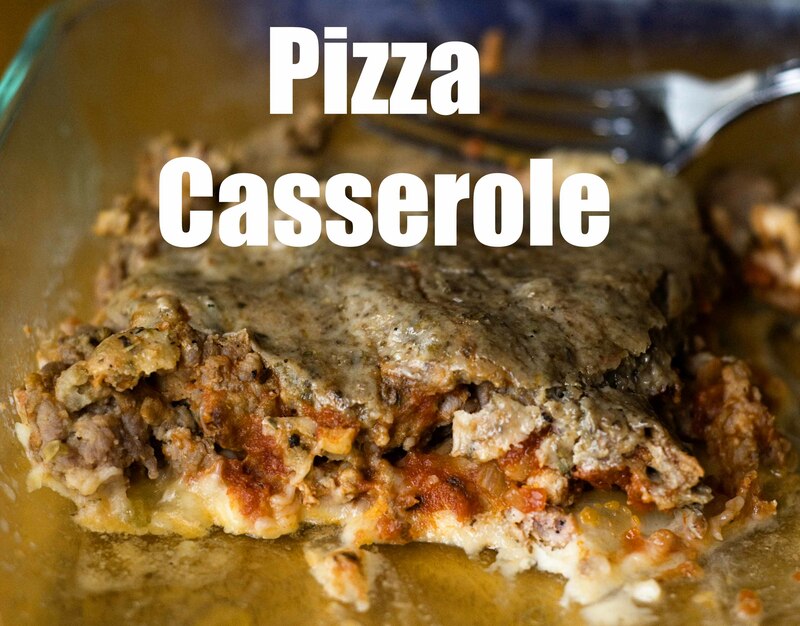 You could add pepperoni or substitute pepperoni for sausage. Or you could change the cheeses. Or you could use ricotta and make it more like a calzone. 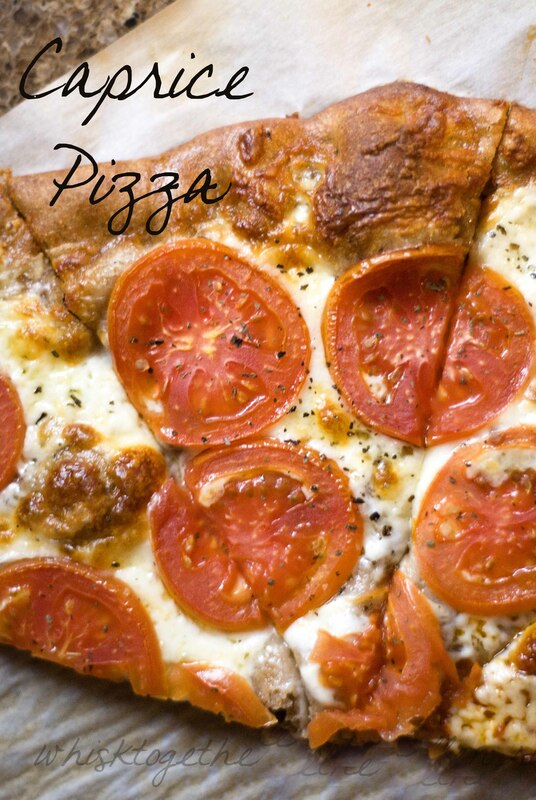 Definitely something more fun than our average pizza and in addition – it wins the “two kid approval” award. Additionally, the leftovers are also nice if you have any. Next time I will make several of these at once. It wouldn’t be hard and the leftovers are great for reheating and eating on the go. 1. Preheat oven to 425 degrees. Cook your sausage until done in a skillet. Put that on some paper towels to drain away the fat. 2. Mix cooked sausage with the cheeses, seasonings and egg. You could even do this part ahead of time. Add your salt and pepper to taste depending on what kind of sausage you purchased. 3. Let the pizza dough rest and sit out for about 20 minutes. 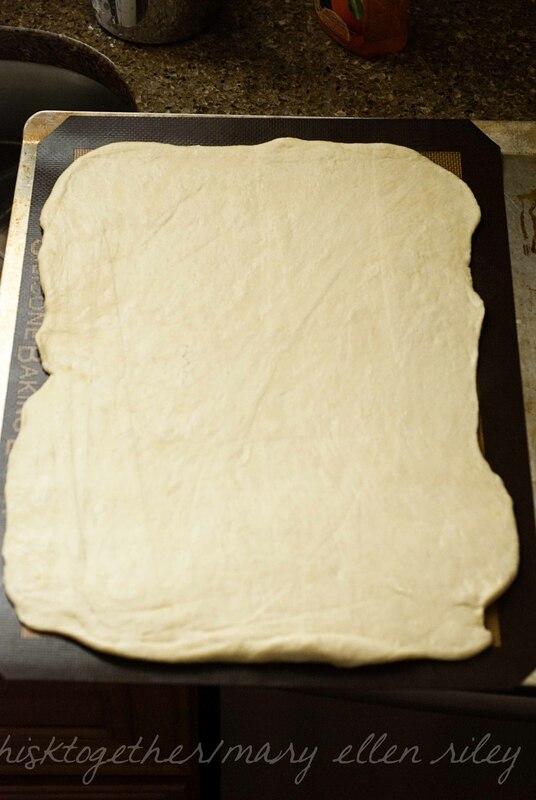 Now on a floured surface, parchment or silicone mat, roll out your pizza dough into a rectangle. I tried to fill my silicone mat. Parchment or silicone is highly recommended because this item would be difficult to transport onto a cookie sheet. Possible… but easier if you just make it directly on the sheet itself. 4. 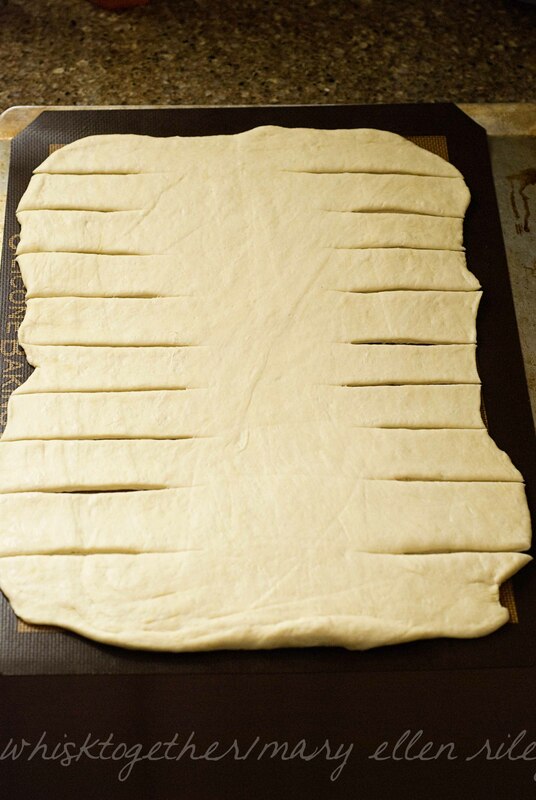 Cut 3″ slits on both sides of the dough about 1 ” apart. 6. 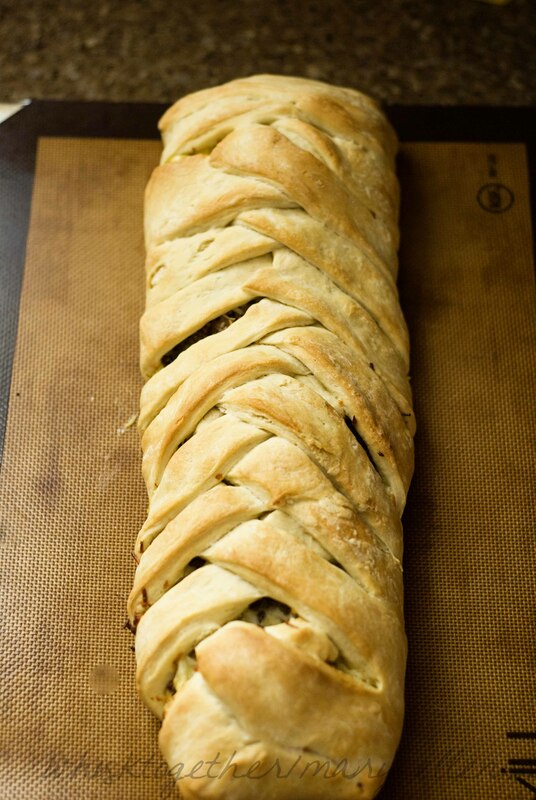 Put the braid on a cookie sheet – or keep it on the silicone mat and just slide it all onto the cookie sheet. Bake 35 minutes. **To Freeze: I would flash freeze this in plastic wrap several times. Thaw in the fridge later and bake! Great gift or meal to bring someone. 1. Mix your water, yeast and sugar in a measuring cup. Wait 5 minutes . There should be foam on top from the yeast . If there is no activity, the yeast is dead and try again with a different batch. This step takes more time – but worth testing your yeast! 2. In a great big bowl, mix your bread flour, salt and olive oil. Add the yeast/water mixture to the middle and stir until a dough is formed. I knead the dough in the same bowl for 5 minutes. You can: a) use it immediately, b) let it rise 1 hour and use it, c) let it rise and an hour and then stick it in the fridge until you want it back, d) seal it up in plastic and freeze it. Remember: more kneading is more gluten. But it is possible to over-knead. Also, the longer it sits in the fridge, the more yeasty flavor you get. I like a 2 day cold rise. If you do that, decrease your amount of yeast though. There is a lot of yeast in this quick dough recipe because the yeast doesn’t have a lot of time to do their thing. Book Update: Our book club finished discussing “Skeletons in the Zahara” by Dean King, and as usual I came back enjoying the book even more. You have to get passed the boring introduction of the desert and Colonial America. Then, they get shipwrecked and the story becomes more interesting. The trials and tribulations Captain Riley and his crew suffered after shipwrecking on the western coast of Africa are just unimaginable. Even more astounding is the crew’s faith, especially Captain Riley’s, throughout the horrific ordeal. I would go into more detail, but it doesn’t seem quite right to do so in a post about food. For August, we are reading “The Happiness Project” by Gretchen Rubin. I broke out in a fit of hysterical laughter because well… we just read “Skeletons in the Zahara” and the contrast just seemed very amusing to me. It was also funny because I checked this book out just a few months ago. But, due to the bad reviews of it on Amazon I took it back to the library. I’ll have to give it another go. I need a babysitter in October for when the third book of the Divergent series comes out. I can’t wait! Veronica Roth – write faster! 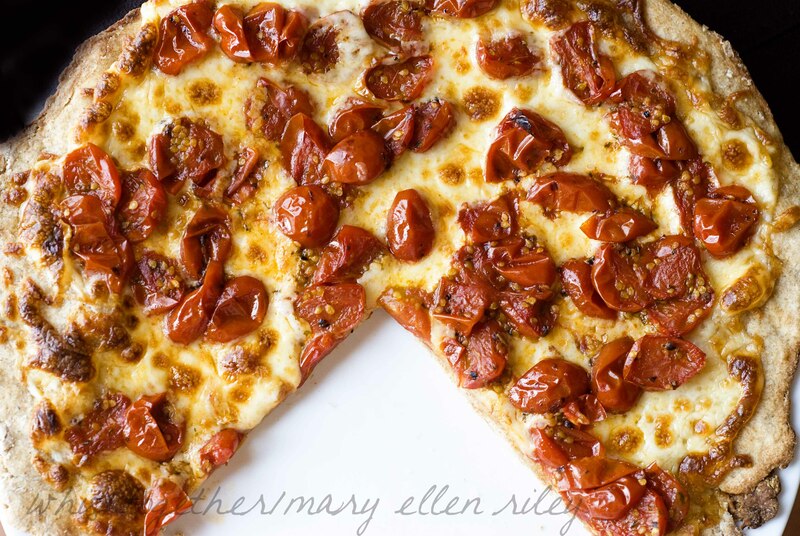 Recipe Update: I love love love Dewey’s Pizza. 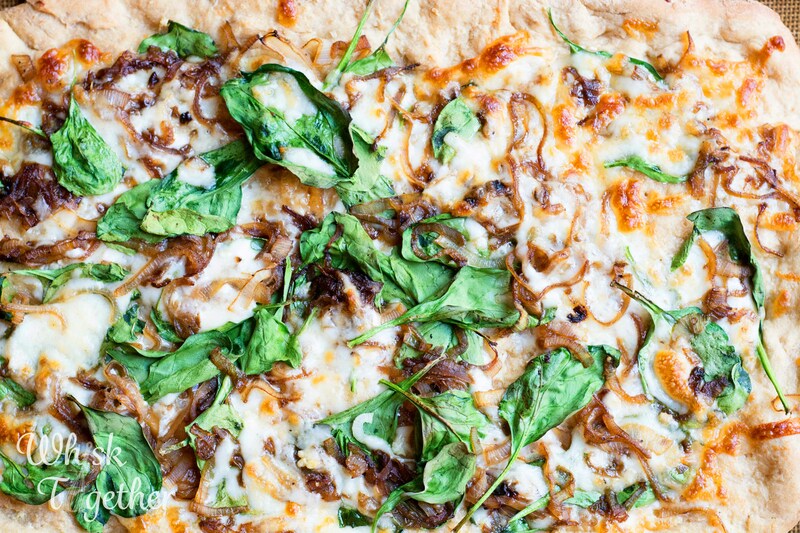 Their crust, toppings, everything. Especially the crust. 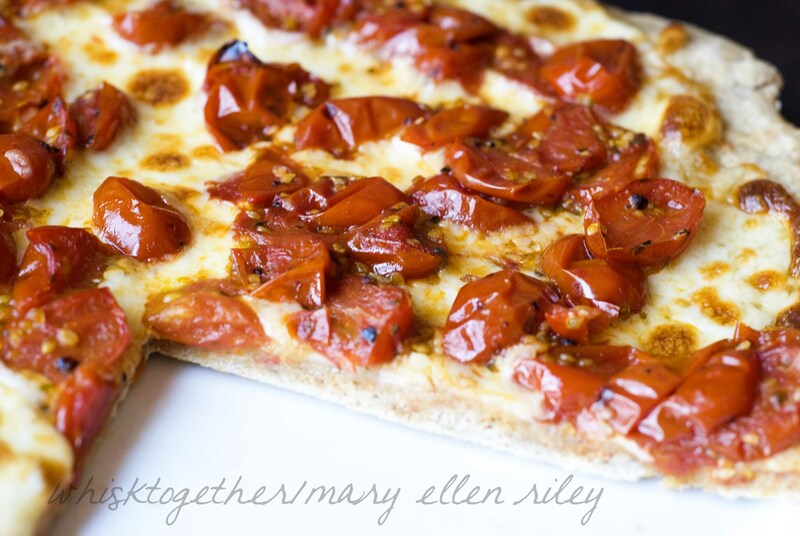 A lot of popular pizza dough recipes I have found like Pioneer Woman’s and Money Saving Mom yield a very thick crust. I don’t want thick – I want thin (but not too thin) and chewy. This one is it! It makes 2 dough balls. Of course, you can freeze them and use them later or bake to your heart’s content. The crust is very malleable. I think if I had let it rest at room temperature a little longer I could have gotten the crust thinner than posted. 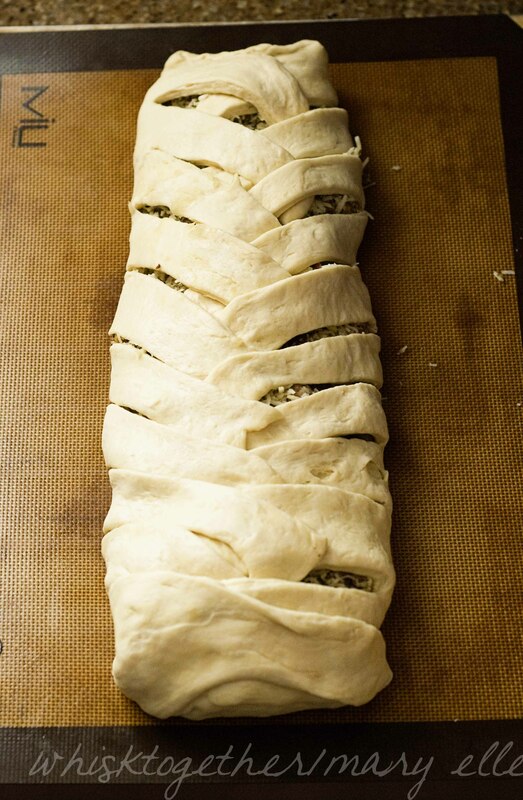 Plus, I really stink at rolling out pizza dough…. But, still. The chewy crust held up nicely. The yeast flavor was well developed and the inside of the crust looks very similar to Dewey’s. The back of the crust does not. But I’m also cooking this in a toaster oven and not a 600+ degree pizzeria pizza oven. If it were not hot outside, I would have turned the oven and pizza stone up to 500 degrees. I guess I could have grilled it…Doh! The ingredient ratios for this recipe originate from someone who took a pizza making class at Dewey’s Pizza. I created my own directions based on the fact that it is rumored online that Dewey’s also uses a 2 day cold rise. Apparently, there are whole entire websites dedicated to finding out the best of each different type of pizza crust: Chicago style, New York style, etc. I think it is quite fascinating how a handful of 6 ingredients can create such different results. 1. In your measuring cup, measure out the warm water. Add the sugar and yeast. Wait 10 minutes to make sure the yeast is alive and foaming at the top. 2. Add your salt, olive oil and bread flour to a large bowl or mixing bowl. Stir together. 3. Add your yeast/water mixture. Stir together to form a dough. Knead on a floured surface for 10 minutes, OR put your dough hook on your mixer and let the mixer do the work for you. Once done, split it into two dough balls and place them in an bowl that has been sprayed with cooking spray or wiped down with olive oil. Cover bowl with plastic wrap. 4. For a shorter rise time and using the whole 2 and 1/4 tsp. of yeast, allow to rise 75 minutes. For a longer rise time and about 1 tsp of yeast, store in the fridge for 1-2 days. 5. Roll out each dough ball into a 12″ circle. Add toppings. Preheat oven with a pizza stone to 500 degrees. Or use a cookie sheet with parchment around 450 degrees. Bake 7-10 minutes. Recipe: I was tired of the same old at lunch and trying to make a Parmesan Flan with Cherry Tomatoes. But, my Parmesan went moldy! Why didn’t I just freeze it like everything else??? Well, next time! So, I had the ingredients to make this and decided to turn it into a pizza. Hey, everything is good on pizza 🙂 And with the recent awesome whether you could grill your pizza or put it in the oven! This is really a great example of taking ordinary ingredients and with a cooking technique – turning them into something much more. I hope you enjoy it! Another idea: cook the tomatoes per the instructions to top pasta or toasted bread. 1. 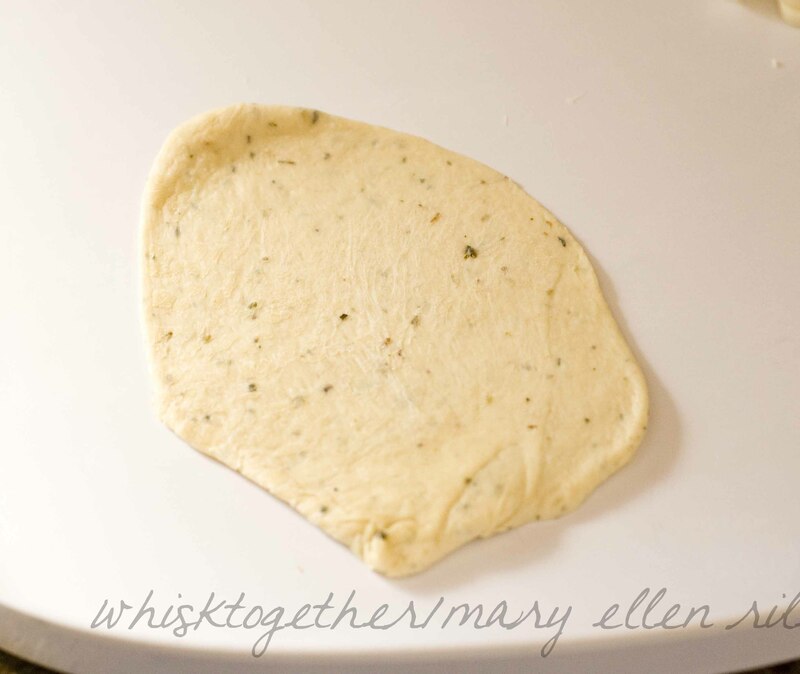 Make your pizza dough(or have one thawed out in the fridge and sit at room temperature for 20 minutes; I make my dough with roasted garlic grapeseed oil – yum). 2. 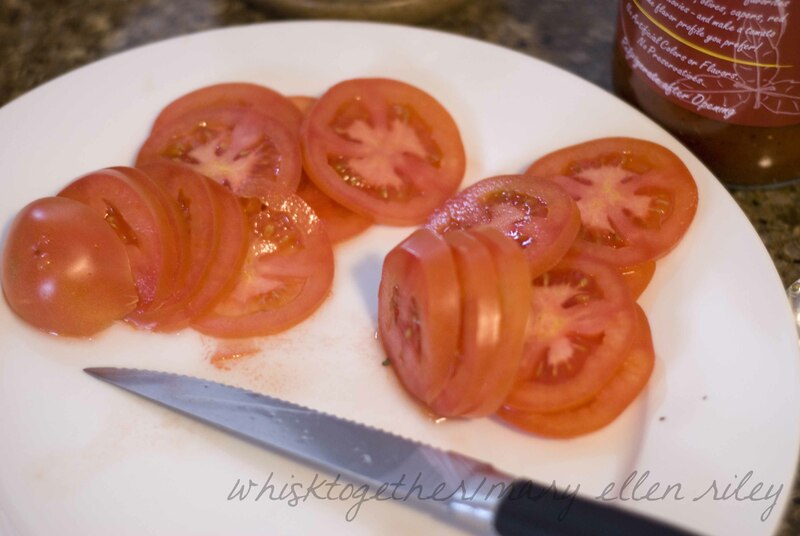 Cut your tomatoes in half length-wise. 3. Heat 1/2 Tb. of oil in a small saucepan over medium heat. 4. Add your tomatoes and saute them about 8-10 minutes. Stir often and they should get really soft. 5. Remove from heat. Add salt and pepper to taste. 6. 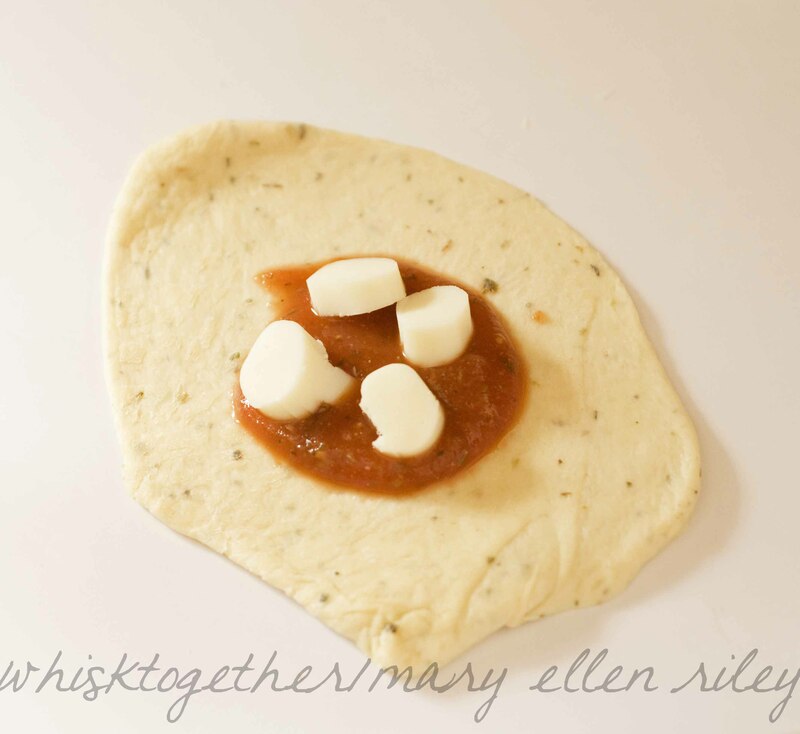 Spread your pizza dough into a 13″ circle on parchment or pizza pan. 7. Brush 1/2-1 Tb. of oil onto the dough. Sprinkle cheese. Sprinkle tomatoes. Add more parmesan on top if you like. 8. Bake at 400 degrees for 10-15 minutes or 500 degrees for 8-13 minutes. (Really depends on your pan and where your oven rack is located, so that is why there is a timeframe). 9. Once removed from the oven, sprinkle fresh basil on top. Add additional kosher salt on top to taste. 10. Cool, slice and eat! Book Club: We discussed “Light Between Oceans” by ML Stedman last night and everyone really liked the book. It has great reviews on Amazon, too! Our next book is “The Giver” by Lois Lowry and I may try and read that tomorrow because my Middle School Language Arts test is in a week. 1. Preheat oven to 425 degrees. (Personally, I let my stone heat inside the oven as well and make the pizza on parchment. Then I can slide the parchment and the pizza onto the hot stone which gives it that crispy outside and gooey inside.) 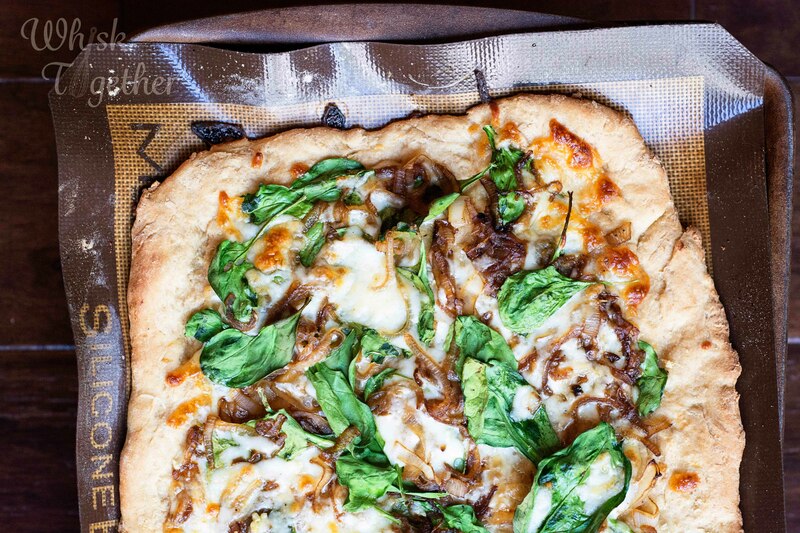 Get your pizza dough ready. Premade dough balls I let rest for 20 minutes. Roll into a large circle. 2. Mix your olive oil and garlic together. 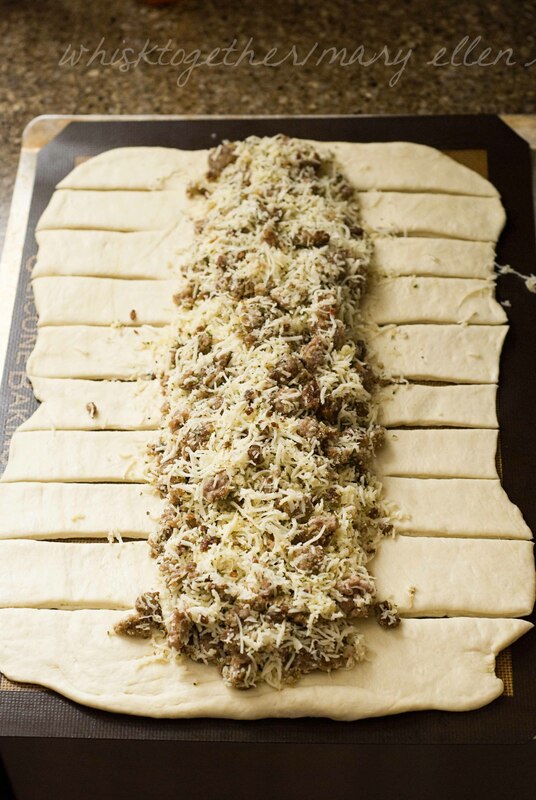 Brush onto the dough. 4. Lay out the tomatoes. 6. Bake for 14-20 minutes. I’m sorry for the wide range of time. It depends on if you use a stone, or a preheated stone or what type of dough you used. Or, make only half the recipe if your kids like pepperoni instead! Enjoy! 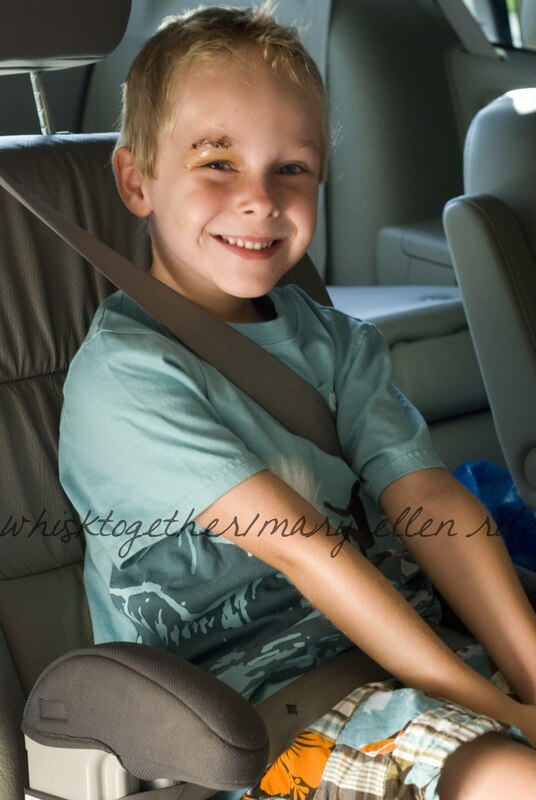 © Mary Ellen Riley/ Mary Riley Photography All images & content are copyright protected. Please do not use my images without prior permission. If you want to republish this recipe, please re-write the recipe in your own words, or link back to this post for the recipe. I grew up on Totino’s pizza rolls. This Super Bowl Sunday I figured I could try making something similar myself. I only needed a little pizza sauce for these rolls and thought it would be a waste to open up a whole jar. Dierbergs had tomato sauce on sale for 25 cents per can last week, so I transformed that into a pretty tasty marinara! 1. 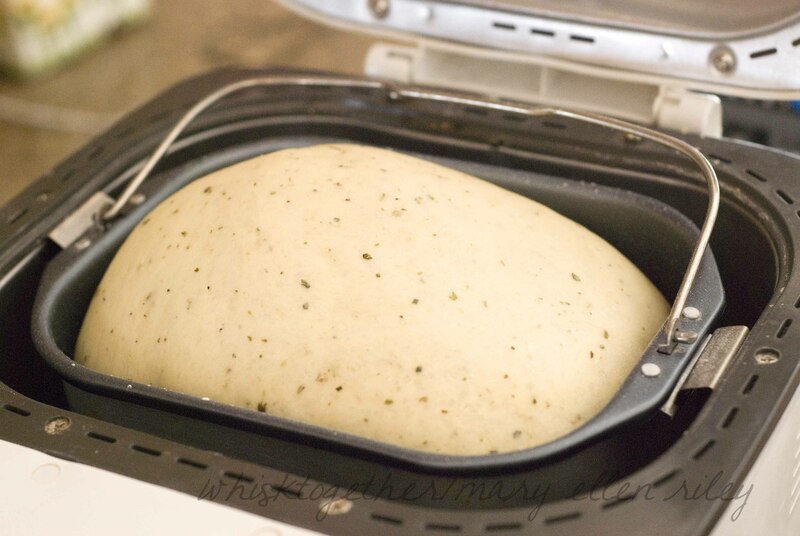 Easy way: Dump your sugar, hot water, salt, garlic powder, oregano and olive oil into your bread machine. Dump the flour on top. Make a little hole in the flour and add the yeast. Select “Dough” cycle and hit “On”. Boom, you’re done with the dough. 2. The harder way: Add your yeast, sugar and hot water to the stand mixer with the dough attachment on it. Allow the yeast to eat the sugar for about 10 minutes. Add your garlic powder, oregano, salt and olive oil. Mix on low. Add 1 cup of flour, mix to incorporate. Add 1 cup flour, mix. Add last 1 cup of flour, mix and let the mixer “knead” the dough for 5 minutes. Grease a bowl and allow the dough rise until it doubles in size – about an hour. Keep covered with a towel. 3. Preheat oven to 375 degrees. Cut up your cheese balls or sticks if using them. 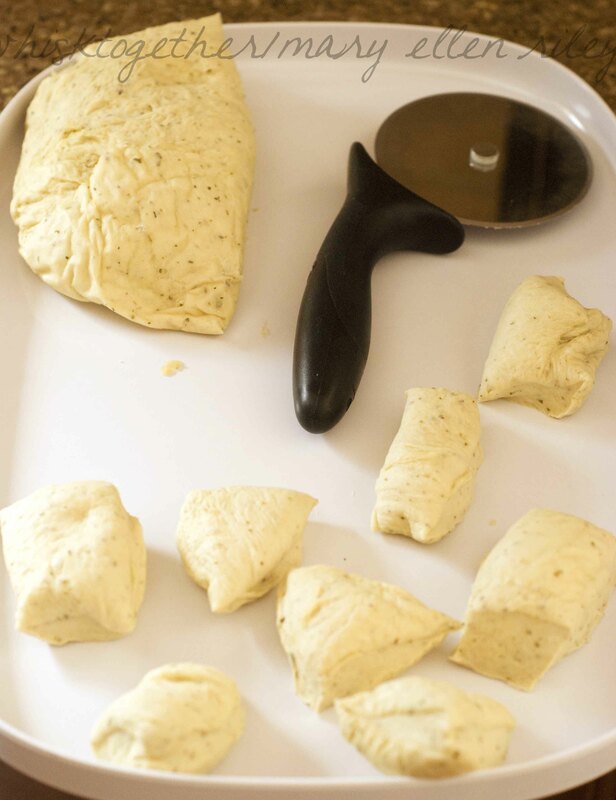 Remove the dough and divide it in to 16 pieces with a bench knife or pizza cutter. 4. Roll the dough ball flat and place about 1 tsp. of the sauce in the middle. Add about 1 Tb. of cheese. You could add some pepperonis in there at this point, too. Now, bring up the sides and crimp the edges until the ball looks like the photo below. 5. Once you do all the rolls like this, you can park them (covered) in the fridge for 24 hours before baking. Or go straight into the oven for 12-15 minutes. The bottoms will be golden brown. 6. Brush the tops with olive oil if you like. I liked dipping mine in the extra sauce. Yum! I mixed that all up. I think it needed a tad more salt and then it tasted perfect. So, use your fingers or spoons to tell, but I thought it was pretty tasty for pantry pizza sauce. This is my favorite pizza and I’ve made it different ways over the years. The smoked gouda really helps. I think I may actually be expanding my cheese palatte beyond cheddar, mozzerella and brie! Oh, and American cheese. But who doesn’t like American cheese? It is difficult to find it without annatto color added. After making lots of pizzas in my oven, I do find that putting the pizza on a hot pizza stone makes for the best and crispiest crust on the bottom. Not too crispy – but like the pizza places do it. Their ovens are much hotter than mine and mine starts smoking funny at 500 degrees. Technique for Pizza: Preheat oven to 425 degrees with the pizza stone inside for 30 minutes. 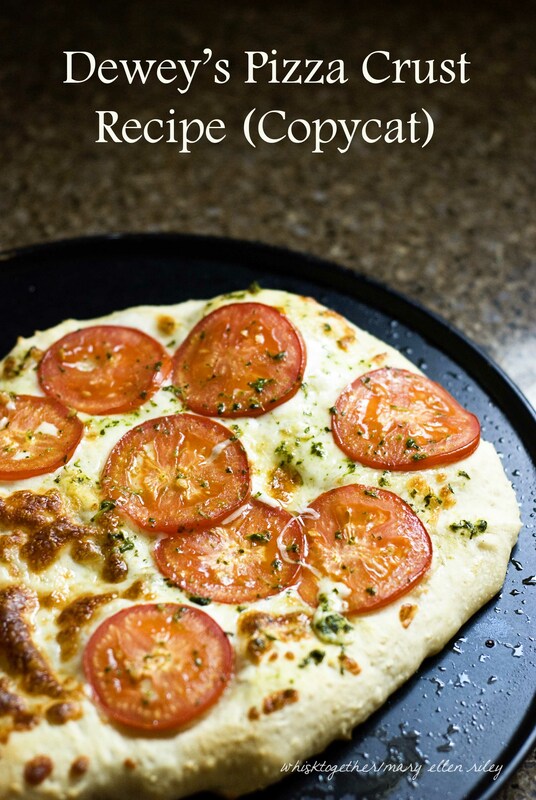 Make your pizza on parchment that is sitting on a baking sheet with no lip (or pizza peel but I don’t own one of those). Slide parchment onto the stone. 1. Place pizza stone or inverted baking sheet on top rack of oven and preheat to 425 degrees for 30 minutes. 2. Toss the cooked chicken in 2 T. of BBQ sauce. 3. Lay out a sheet of parchment and dust with cornmeal. That is the stuff you always see on the bottom of pizzas. If you don’t have any, try brushing on some olive oil. 4. 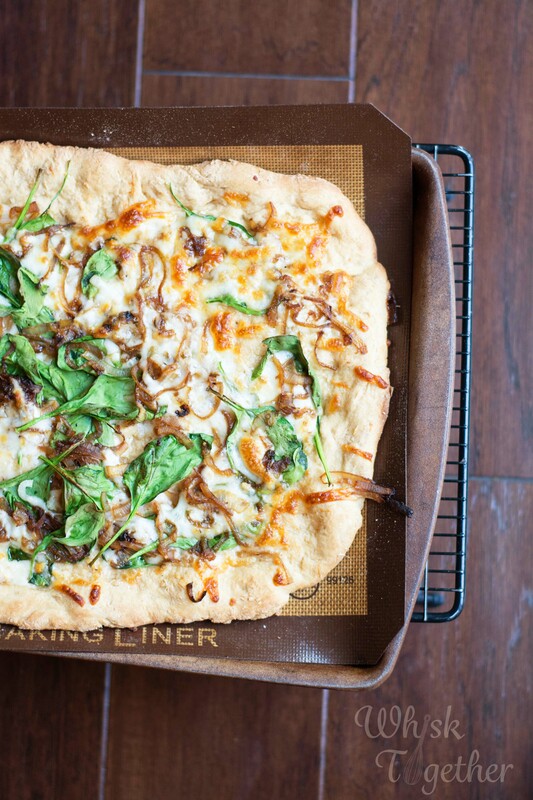 Roll out the pizza dough into a 10-12″ round. 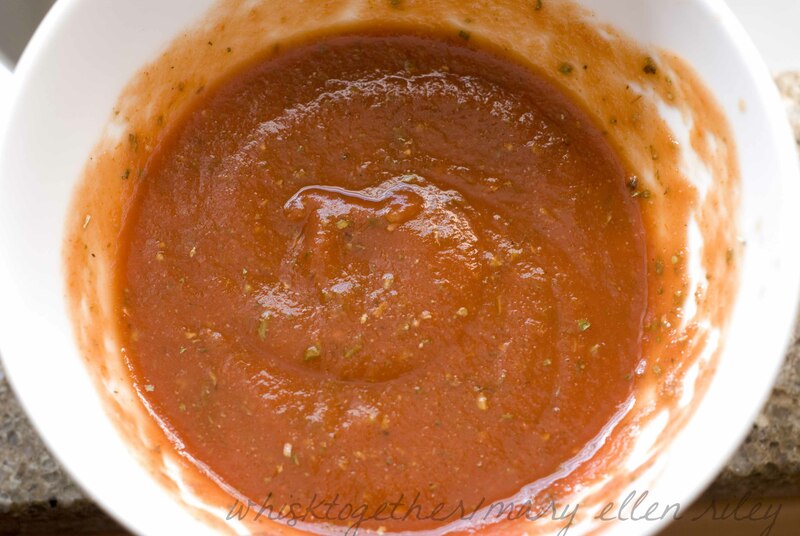 Spread 1/3 cup BBQ sauce on top leaving a 1/2″ border on the edge. 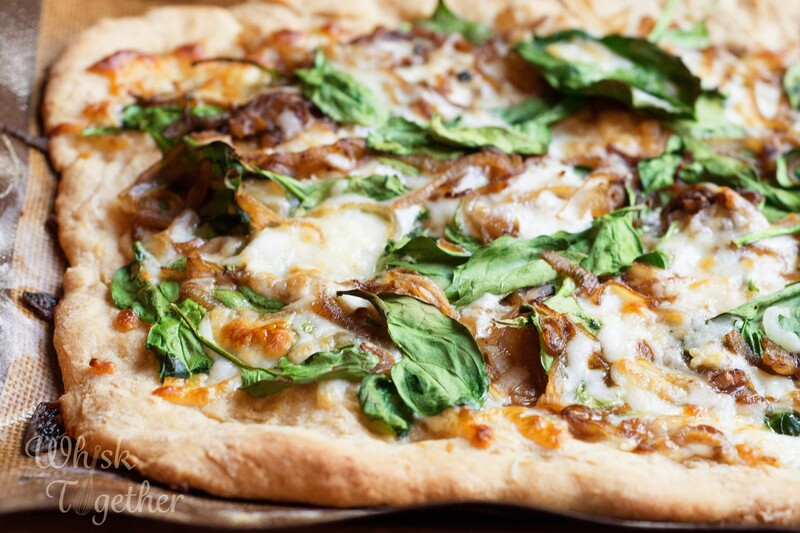 Top with the chicken, gouda, mozzarella and red onion. Slide onto the hot stone. Bake 10-15 minutes or depending on your pizza dough recipe. 5. Sprinkle cilantro on top and cut. It is the First Day of School for us and here is something the kids will love! This one I found through my neighbor friend and their whole family loves this recipe. We do, too. Again, I’ve made it several times with different variations to see how bad I could mess it up, I mean how nutritious I could make it without losing flavor. 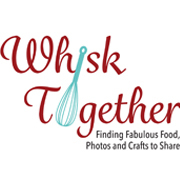 Why I love this recipe: relatively inexpensive, feeds a crowd, can split and freeze or split and give to a family in need, comes together quickly and little active work. The yield and measurements feed our small family of 4. If you want to eat this for leftovers or make the normal casserole size, then double the ingredients and prepare in a 9×13 dish. Feel free to add pepperoni on top of the meat layer. Yum! 1. Preheat oven to 350 degrees. Spray a 11×7 or 9×9 baking dish with cooking spray. 3. Add your sausage and break up into little pieces. Cook until done (not pinkish). 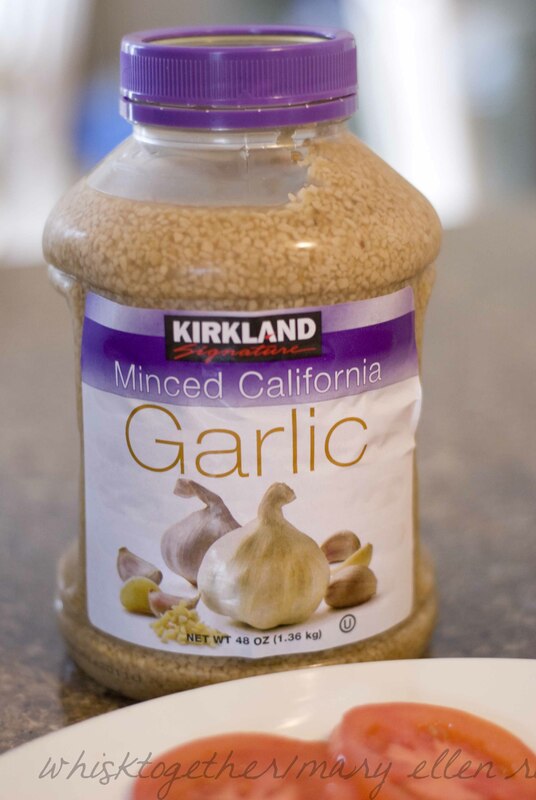 If you hate grease like me, pour this onto a plate of paper towels and drain. 4. While that is cooking: in a small bowl mix Italian seasoning, flour, salt, pepper, milk, egg and olive oil (optional) together. Set aside. 5. Sprinkle the mozzarella cheese into the bottom of the sprayed baking dish. Add the cooked sausage mixture on top. Spoon or pour the sauce onto the sausage mixture. 6. Scoop the flour mixture on top of the sauce and then spread it out over the casserole. 7. Bake for about 20-25 minutes. I’ve made these in lots of different ways and I’m not sure it is possible to screw them up. 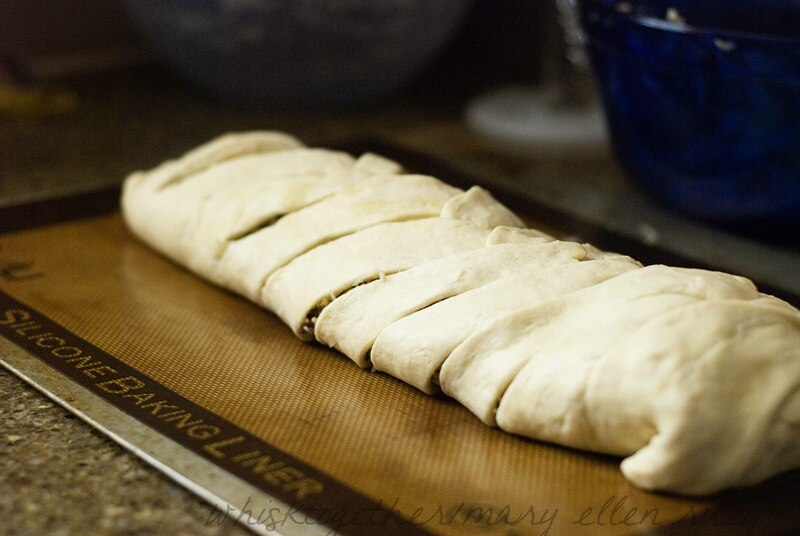 Pioneer Woman has a calzone recipe that is similar to this one. I cheated and made these using Trader Joe’s pizza dough balls. 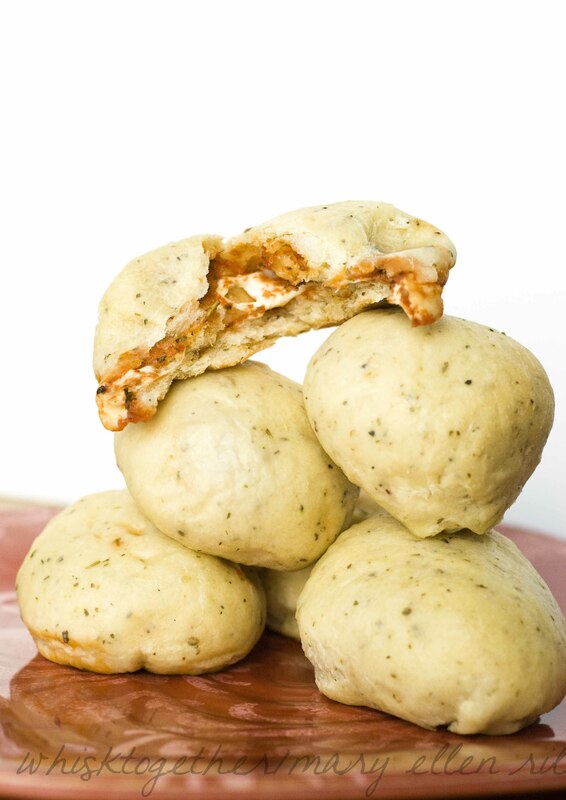 Did you know pizzarias will sell you balls of dough? I’ve asked several places and they do. They are usually $1 here in Missouri. This recipe freezes very well. 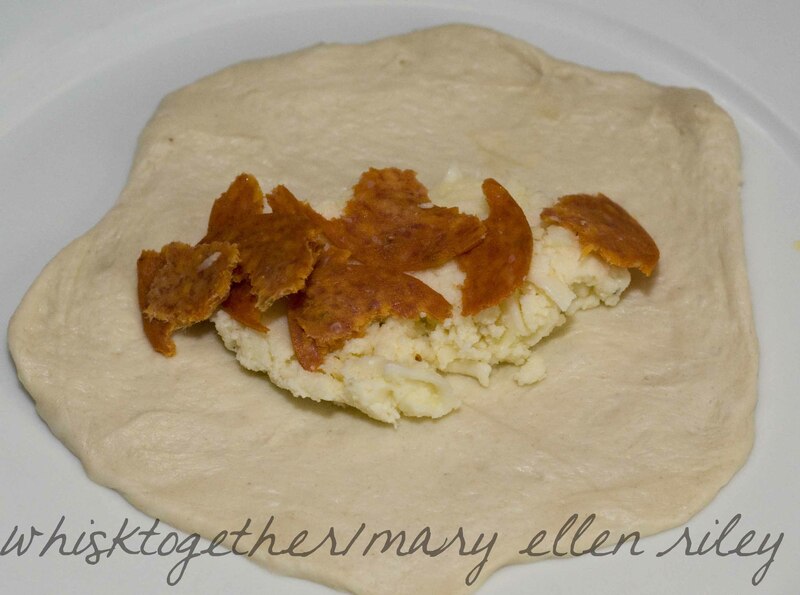 Flash freeze the unbaked calzones in parchment and foil, then place in a ziplock bag. When ready to bake, unwrap and cook from frozen for 30 minutes. 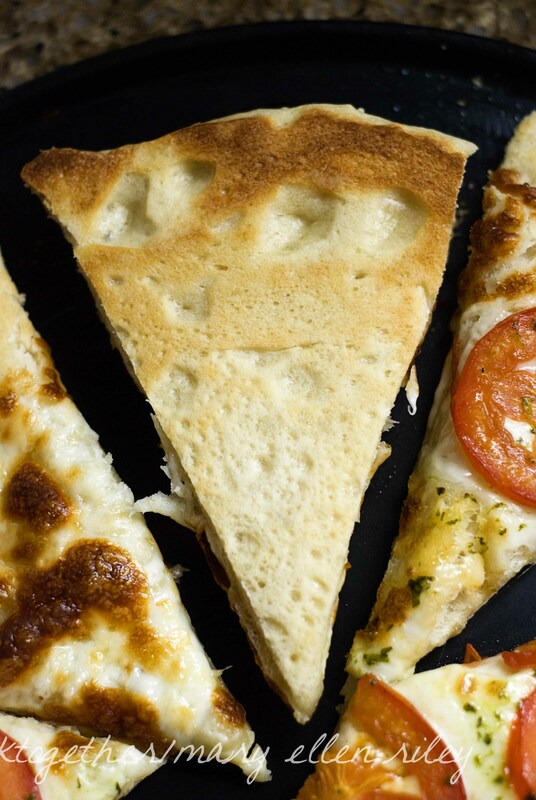 If you don’t like ricotta, simply add your favorite pizza sauce, cheese and toppings. 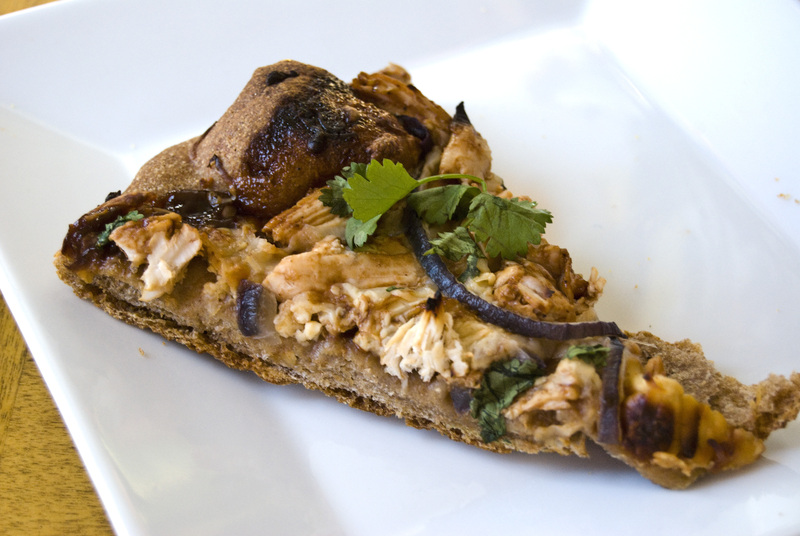 Or, add BBQ sauce, mozzerella, cilantro and shredded chicken for a BBQ chicken calzone. Plus additional fillings: sausage, pepperoni, cooked chicken, hamburger, veggies, etc. 1. Preheat oven to 475 degrees. Place baking stone in the oven. In a small skillet, cook the oil, garlic and flakes for a few minutes on medium heat. Just until you hear a sizzle, then remove from the heat. 2. 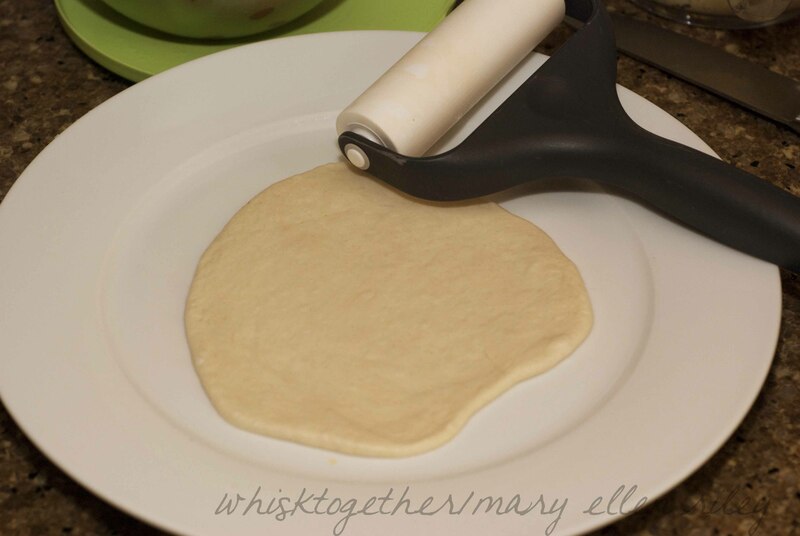 Roll out your dough onto a floured surface with a floured rolling pin. 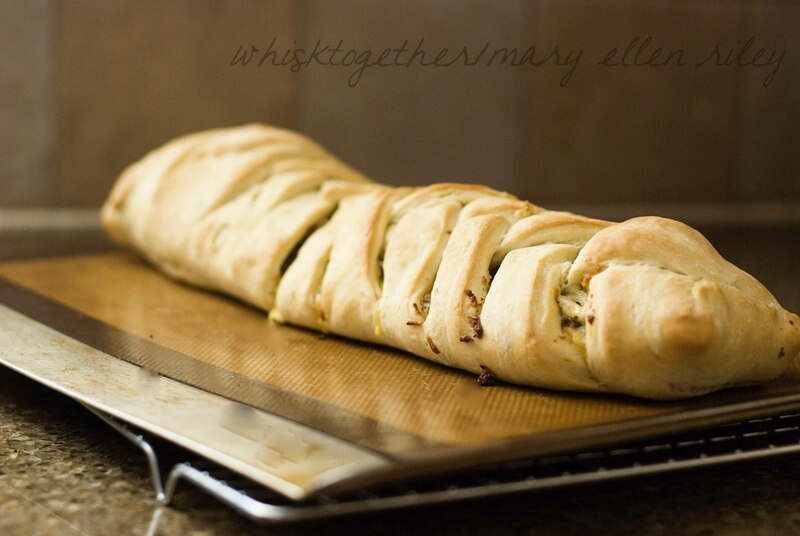 Or, use a pastry roller like here on a plate. I don’t like flour messes! 3. In a big bowl, mix the ricotta, mozz, parm, yolk, oregano and salt and pepper to taste. 4. Put about 1/4 cup of the cheese mixture in the middle of the dough. Add any fillings like sausage, etc. Fold over and crimp with a fork. 5. 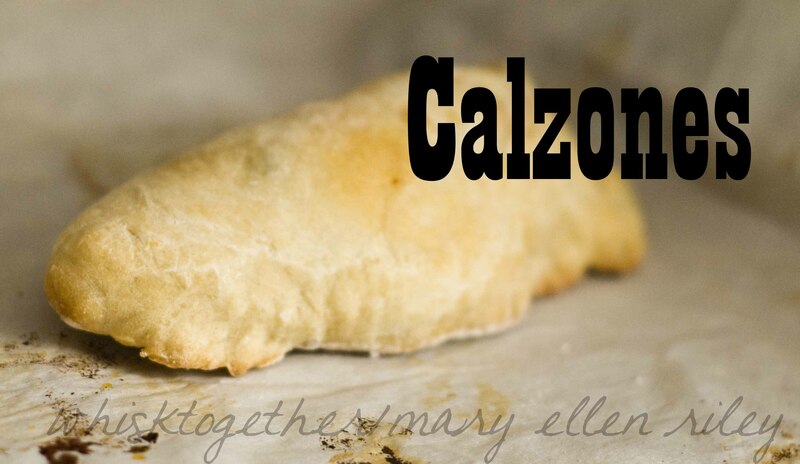 Place the calzones on a parchment or silicone lined cookie sheet or stone. (You don’t need a liner with the stone.) Then, carefully transfer the parchment onto the hot stone in the oven. 6. Bake about 10-15 minutes. They should be golden brown on top. I tried this without preheating the stone and just used a cookie sheet. The outside browned, but the inside didn’t seem quite done. It did work, but not as successfully.